MARBLE FALLS — Older Adult Rural Services needs some merry elves to bring a Merry Christmas to Highland Lakes seniors. The local organization is asking for donations of items to create holiday goody bags for its Elves for the Elderly program. Needed items include slippers, mittens, gloves, blankets, socks, lap quilts, night lights, and large-print books. Drop off donations at the T.Q. Brown Building, 1016 Broadway, from 8 a.m.-5 p.m. Monday-Friday through Dec. 3. 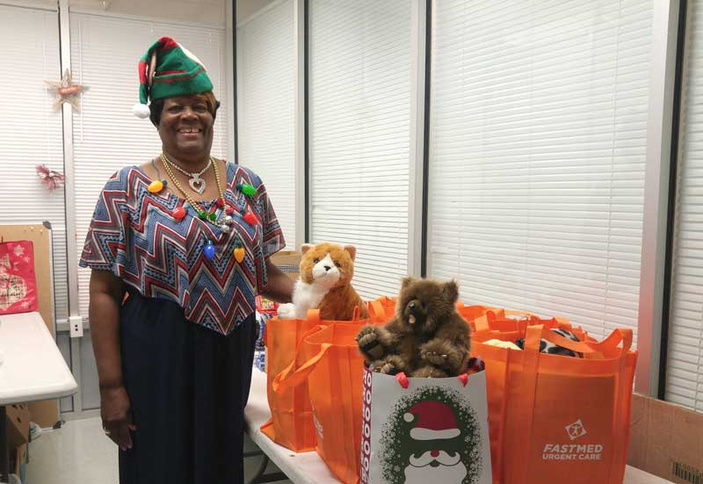 Bessie Jackson, a local senior adviser for the AARP program, said they’ll also accept personal hygiene items such as toothbrushes, toothpaste, deodorant, hand sanitizer, soap, and lotion. The program serves individuals in nursing homes and assisted-living facilities as well as shut-ins in Burnet, Llano, and parts of Williamson counties. It’s not uncommon for Jackson and volunteers to assemble 700 bags and give them all away. One volunteer noticed a man who sat on his front porch every day who didn’t receive a lot of visitors. That volunteer gave the man a goody bag. The group found out it was the only Christmas present he received that year. The program could use more volunteers. Email Jackson at bjackson@txhf.org for more information. Go to 101HighlandLakes.com/Volunteer for more volunteer opportunities in the Highland Lakes.